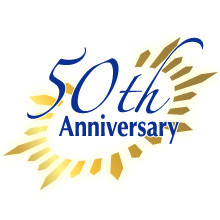 February 28, 2014, we were able to welcome our 50th anniversary. We would like to thank you for your support. Since its foundation, as a pioneer of the linen supply industry, we have contributed to the creation of comfortable environment for many years. In the spirit of the establishment of our business, "sincerity, enthusiasm and innovation", is our motto, we would like to be appreciated by our customers. We also continue to further the effort to contribute to our society. We sincerely look forward to your support in the future.